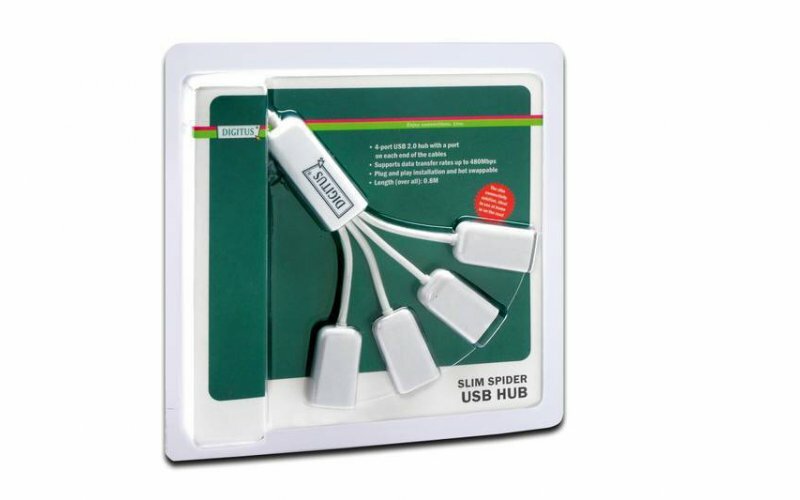 -4-port USB 2.0 hub with a port on each end of the cables. 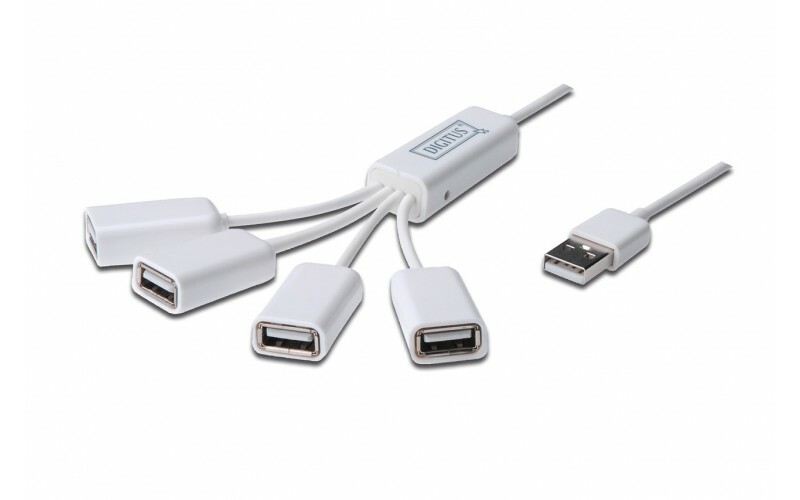 -4 x USB A jack, 1 x USB A plug. -Including DC-Jack for optional power supply. 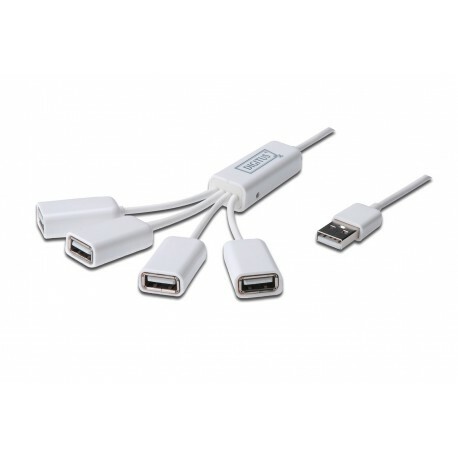 -Compliant with USB 2.0 specifications. -Supports data transfer rates up to 480Mbps. -Plug and Play and hot-swappable. -Overvoltage protection on each output. -Ready to connect with built-in USB connection cable. -Supports Windows 7, Vista, XP and Mac OS 10.x.